Harry Harootunian - "Uneven Moments"
Harry Harootunian discusses Uneven Moments: Reflections on Japan's Modern History. A Q&A and signing will follow the discussion. About the book: Few scholars have done more than Harry Harootunian to shape the study of modern Japan. Incorporating Marxist critical perspectives on history and theoretically informed insights, his scholarship has been vitally important for the world of Asian studies. Uneven Moments presents a selection of Harootunian’s essays on Japan’s intellectual and cultural history from the late Tokugawa period to the present that span the many phases of his distinguished career and point to new directions for Japanese studies. Uneven Moments begins with reflections on area studies as an academic field and how we go about studying a region. It then moves into discussions of key topics in modern Japanese history. Harootunian considers Japan’s fateful encounter with capitalist modernity and the implications of uneven development, examining the combinations of older practices with new demands that characterized the twentieth century. The book examines the making of modern Japan, the transformations of everyday life, and the collision between the production of forms of cultural expression and new political possibilities. Finally, Harootunian analyzes Japanese political identity and its forms of reckoning with the past. Exploring the shifting relationship among culture, the making of meaning, and politics in rich reflections on Marxism and critical theory, Uneven Moments presents Harootunian’s intellectual trajectory and in so doing offers a unique assessment of Japanese history. 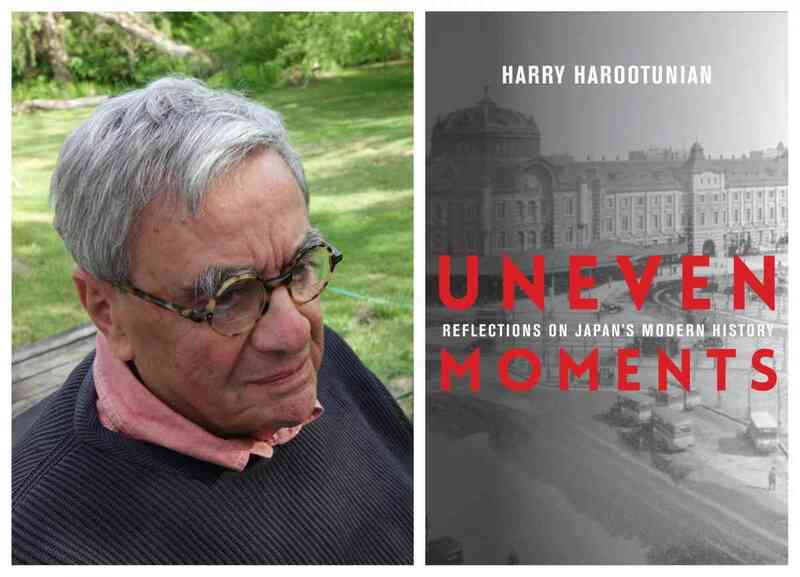 About the author: Harry Harootunian is Max Palevsky Professor of History Emeritus at the University of Chicago, professor emeritus of East Asia studies at New York University, and adjunct senior research scholar at the Weatherhead East Asian Institute, Columbia University. His books include History’s Disquiet: Modernity, Cultural Practice, and the Question of Everyday Life (Columbia, 2000) and Marx After Marx: History and Time in the Expansion of Capitalism (Columbia, 2015).